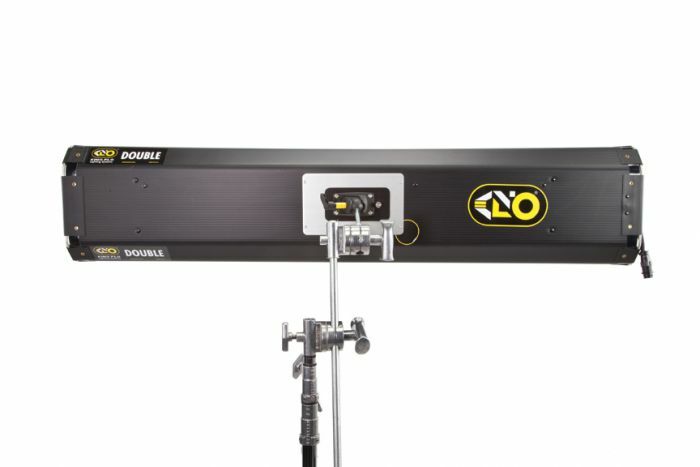 The Double System is a softlight source that can be plugged into a wall socket on location. 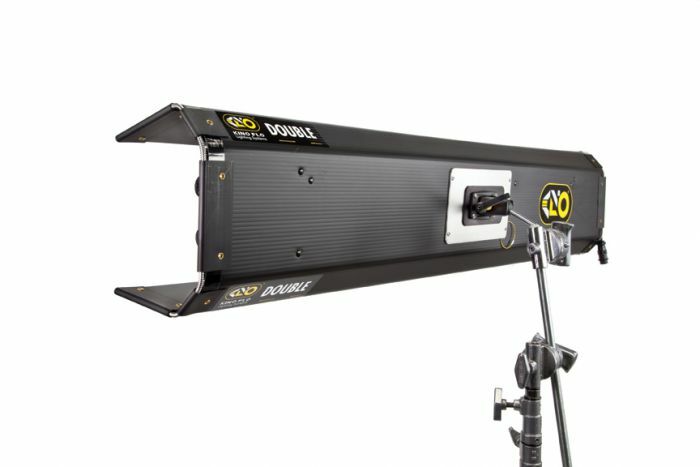 With its narrow profile and size, the Double can approximate the quality of light from bounced sources without losing set space. 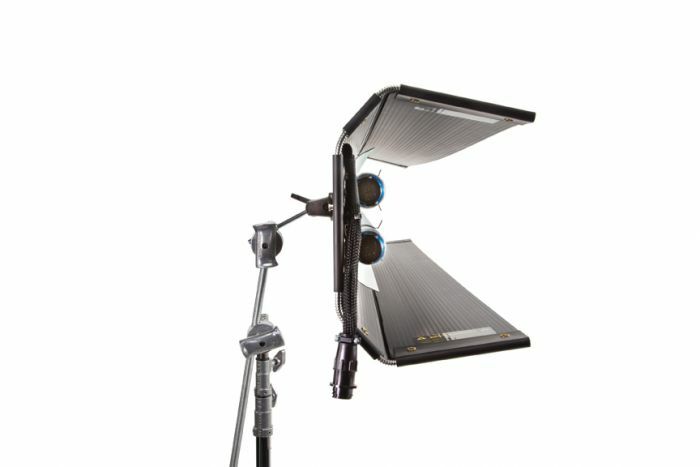 The Double fixture houses the lamps and includes a removable Louver, Reflector, and Lamp Harness. 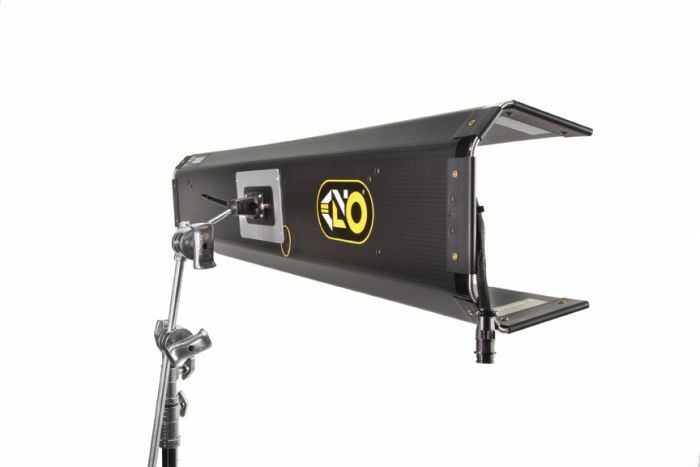 The Louver and Reflector are held in place with Velcro fasteners. There is a strain relief on the lamp harness to ensure the connectors don’t pull off the lamps during operation. To get the harness away from the fixture, turn the ¼ turn fastener and rotate counter-clockwise to release. operated independently of the fixture. 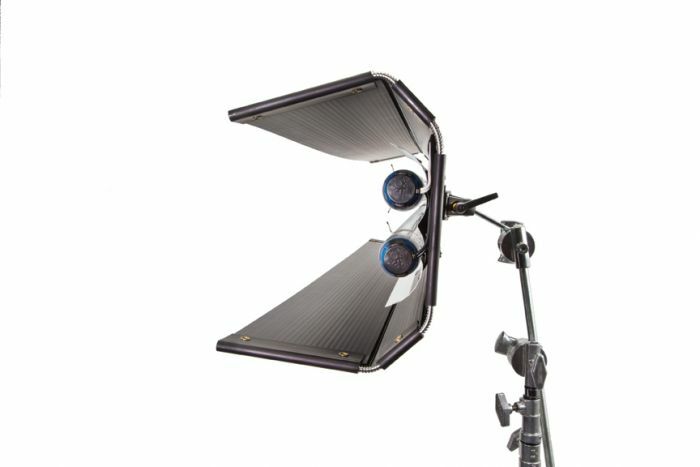 3) "Harness + Reflector" - Same as above, but may want to use the reflector to give more punch and direction to the light. 4) Can use Louver to give direction to the light or remove louver to give broad coverage over an area. The fixtures can take a variety of lamps. 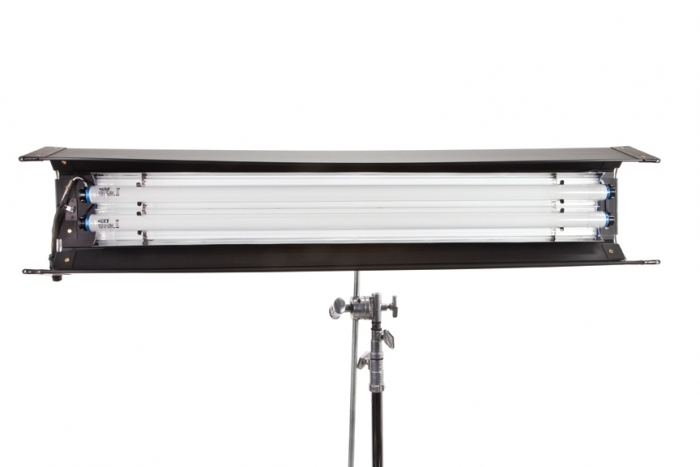 They can be used as a daylight source by using Kino Flo KF55 lamps or a tungsten source using Kino Flo KF32 lamps. A variety of visual effects for blue and green screen as well as designer colors are available. 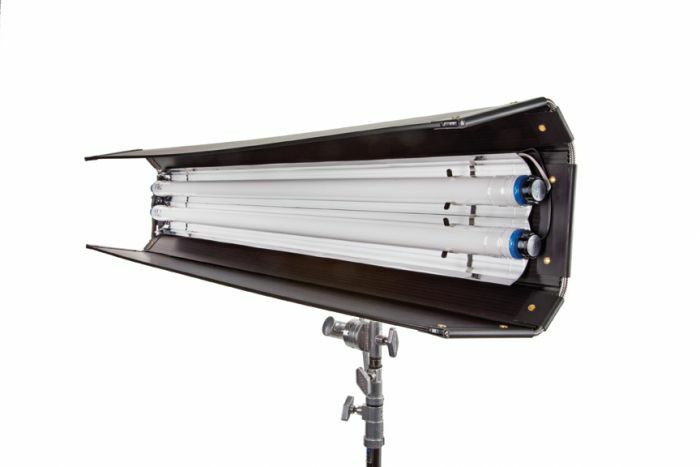 Kino Flo lamps are color-correct and safety-sleeved. 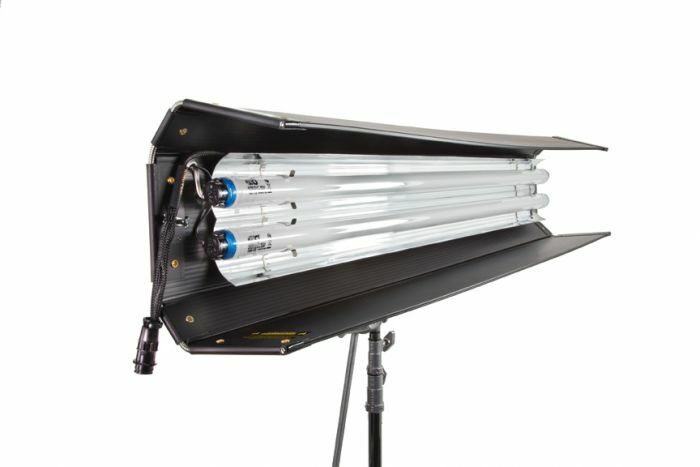 The lamps are safety-sleeved because they can operate inside the fixture or independently with only the wiring harness. Additionally, on a production set the lamps are changed out. 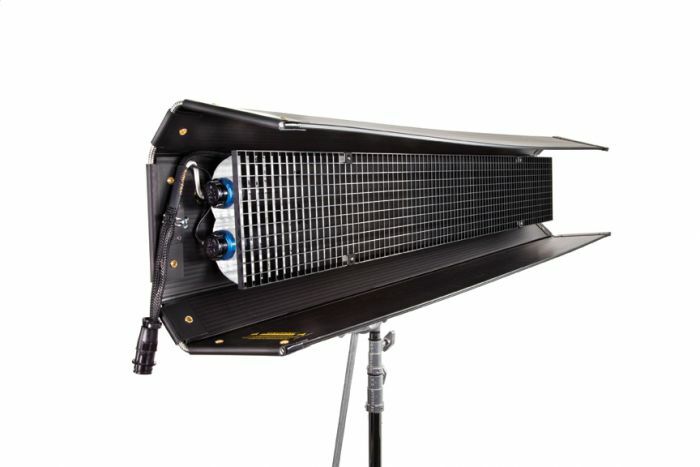 Safety-sleeving offers protection during lamp changes for the user as well as the talent on the set. One of the design features that makes the fixture so popular is the twist-on removable Center Mount. 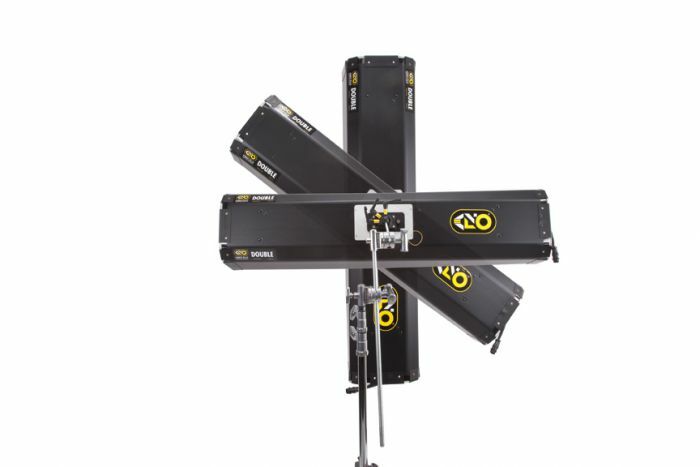 When it's on, the fixture mounts easily to a light stand; when it's off, the fixture is flat and can be hand-held, or hidden in a space too small to place a stand-mounting fixture. When the mount is removed, the grommet holes along the edge of the fixture are designed to allow the fixture to be screwed to a wall or ceiling through its eyelets.